Every time I'm encountering these type of ordeals, I regret not learning about "Computer Programming". Perhaps, I shall pursue that after my MBA and Law degree. I just have so many ideas overflowing in my mind that can't materialize and that frustrates me a lot. Figuring things out through online tutorials consumes my scarce and precious time and even then I am not able to achieve how my ideal food blog should look like. So after weeks of tweaking and giving up on most functionalities that I want to implement, I asked my friends for their comments. They said it looks exactly like this blog! =( What do you think? Does it? Another woes of a new blog is not being recognized by search engines. This means that the initial blog articles that I publish are for my eyes only. It's okay for me though, I'm used to being quiet cause I'm a lone wolf type of person. Although I'm not a travel blogger, I love to travel if budget allows. So when I discovered about the Lakbay Norte 3 NPVB Media Tour Blogger Contest, I decided to take my chances and join! 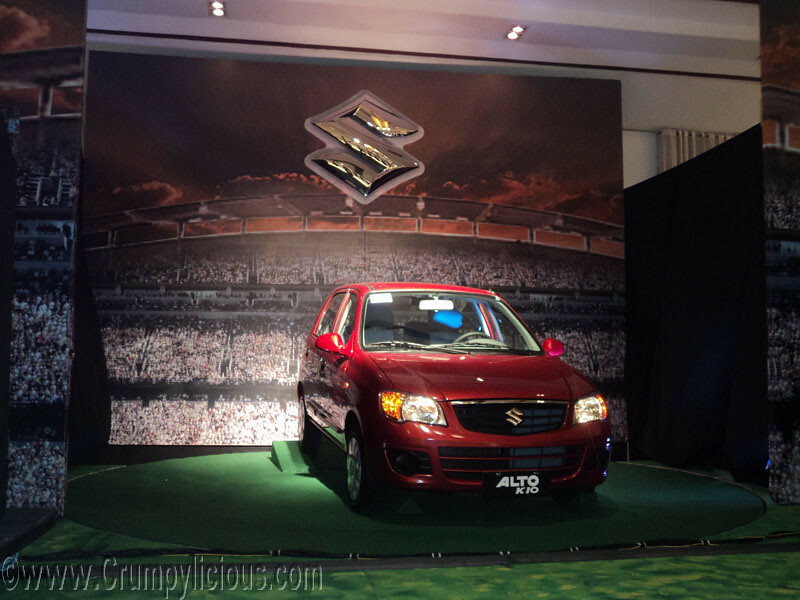 Suzuki Motor Company, the company known for creating quality compact cars with a reasonable price tag has introduced its newest addition to its arsenal. 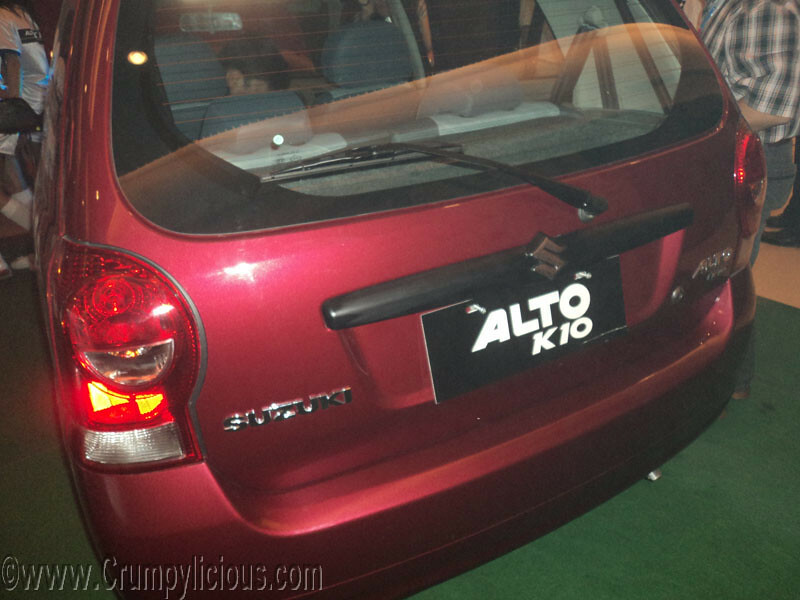 The Suzuki Alto K10. 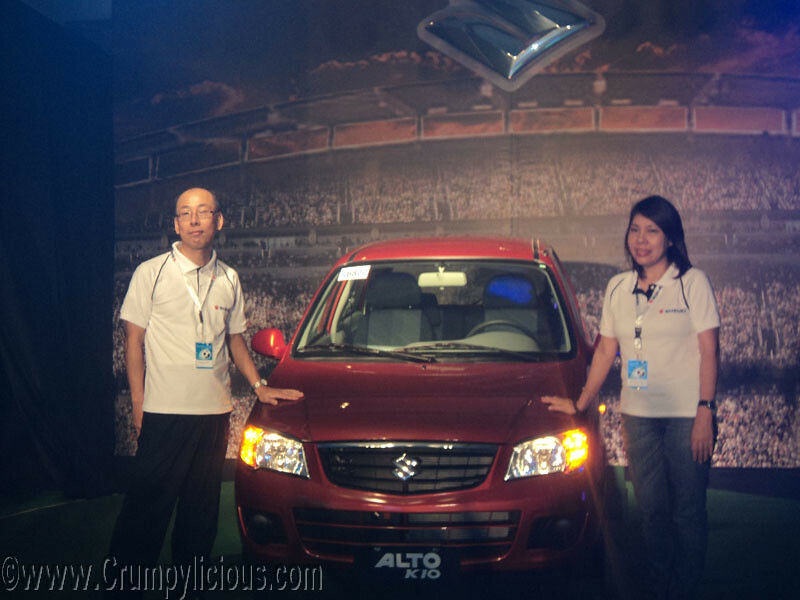 The first generation Suzuki Alto was released in 1979 and now on its 7th generation they have certainly established their name to be one of the most fuel efficiency, low priced vehicles out there in the market without sacrificing its quality. 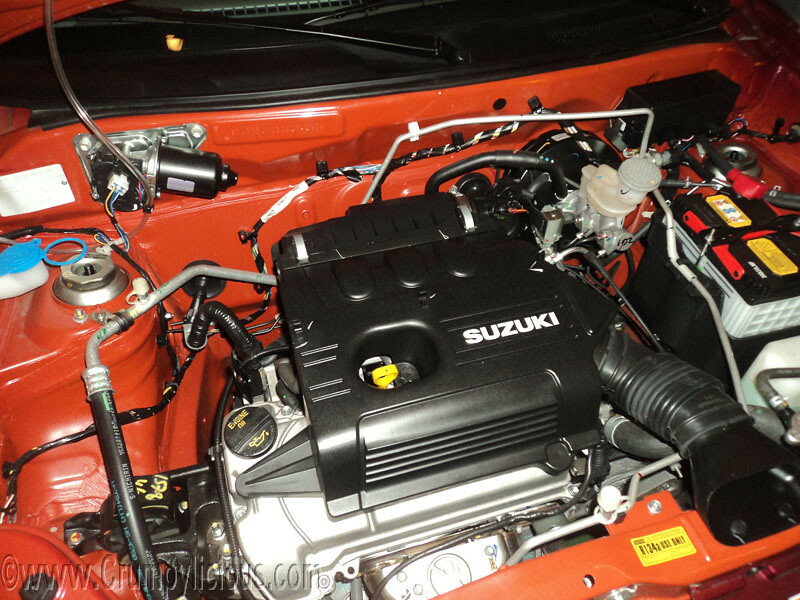 President of Suzuki Motors Satoshi Uchida explained that the Suzuki Alto K10 comes packed with the K10B, 1.0 liter, DOHC 12-valve gasoline engine with direct ignition and timing chain. 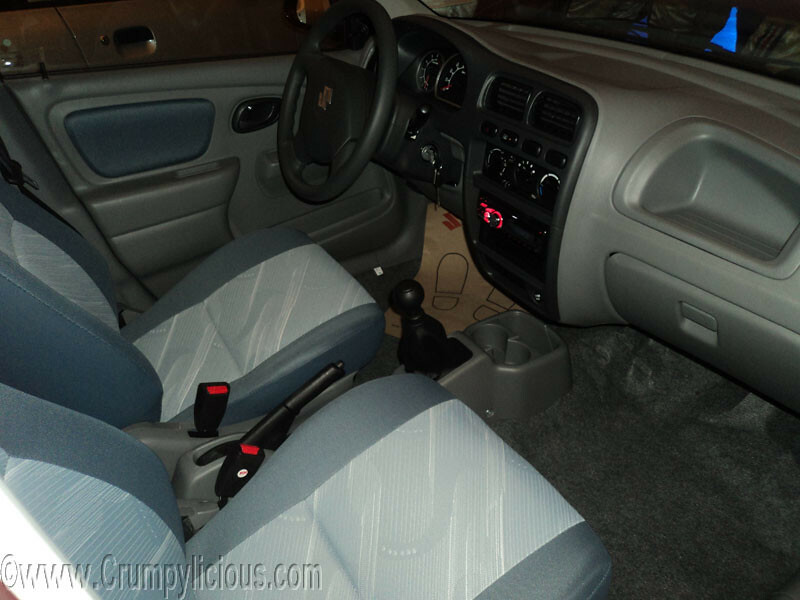 It also comes with a 5-speed manual trasmission, electronic power steering, front power windows, power door locks, quality audio system, and safety features for its passenger making it a model fit for everyone. 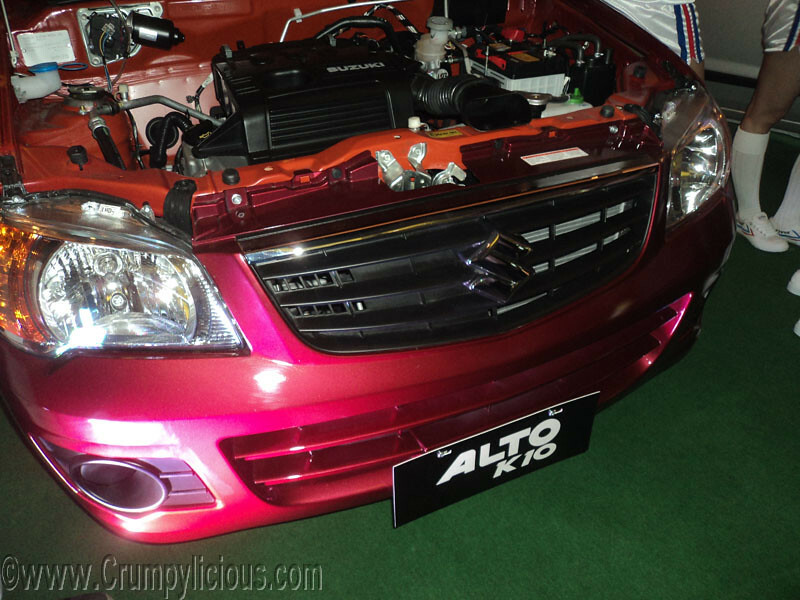 Though I was only able to see 2 colors variations, the Suzuki Alto K10 is available in Silky Silver, Dazzling Red and Sunlight Copper Metallic. The current retail price for the model is 439,000 php. 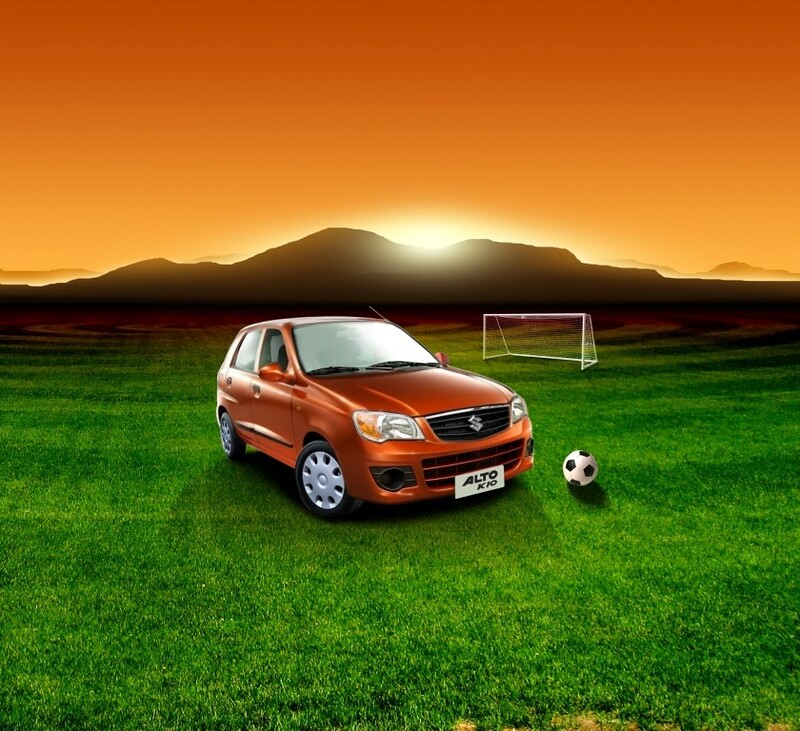 The Suzuki Motor Company has reassured its presence in automobile market by introducing their latest model the Suzuki Alto K10 and this might be their ticket to make that Winning Goal. Asian Flavours' 2nd Anniversary at Lima Park Batangas plus ticket giveaway! 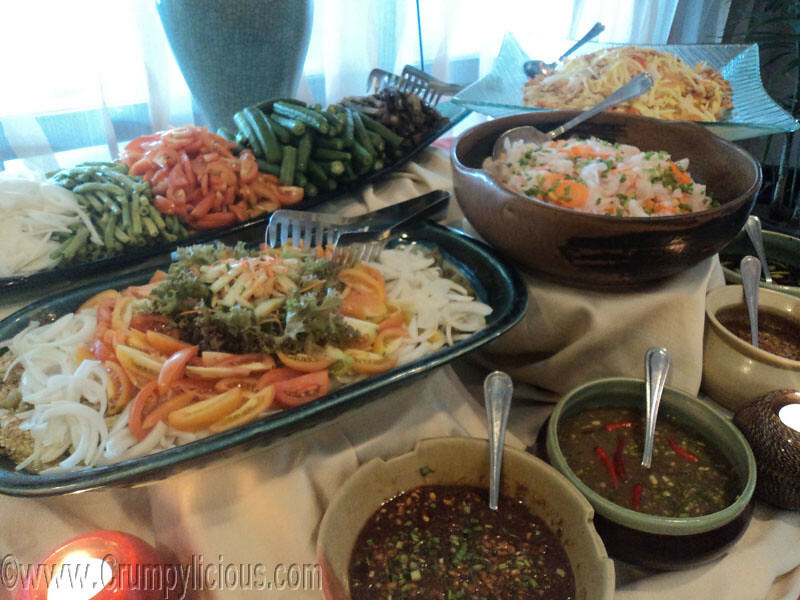 Asian Flavours Restaurant in Lima Park Batangas has celebrated it's 2nd Anniversary and like last year the theme for the showcased lunch was Filipino Cuisines. 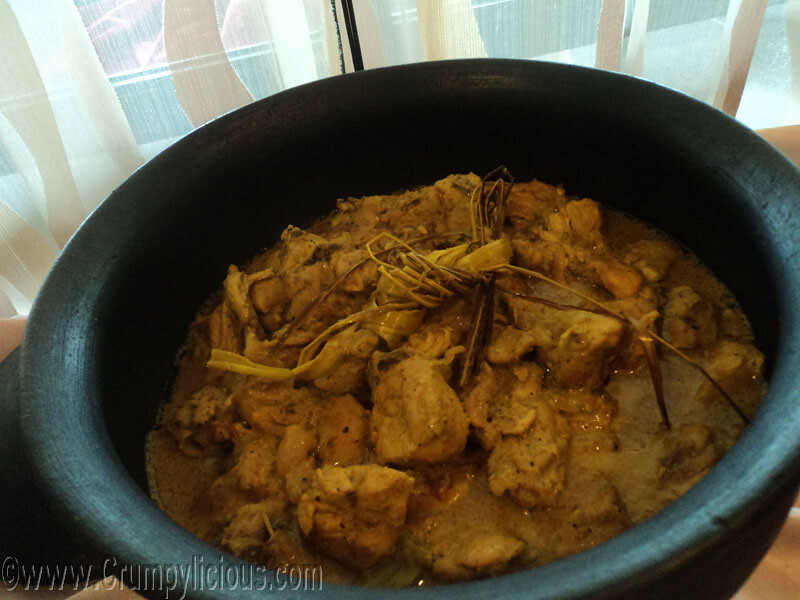 But, it wasn't just your ordinary Filipino cooking because they wanted to share the joy in eating the traditional way. 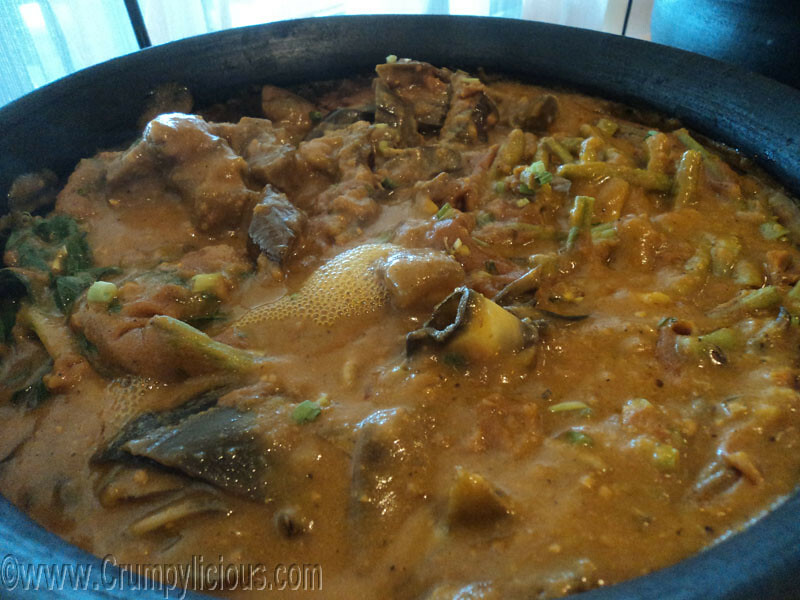 It is the way most of our lola's used to cook and that's cooking through the traditional clay palayok. 1. It tenderizes the meat but helps keep its moist and juicy texture. 2. 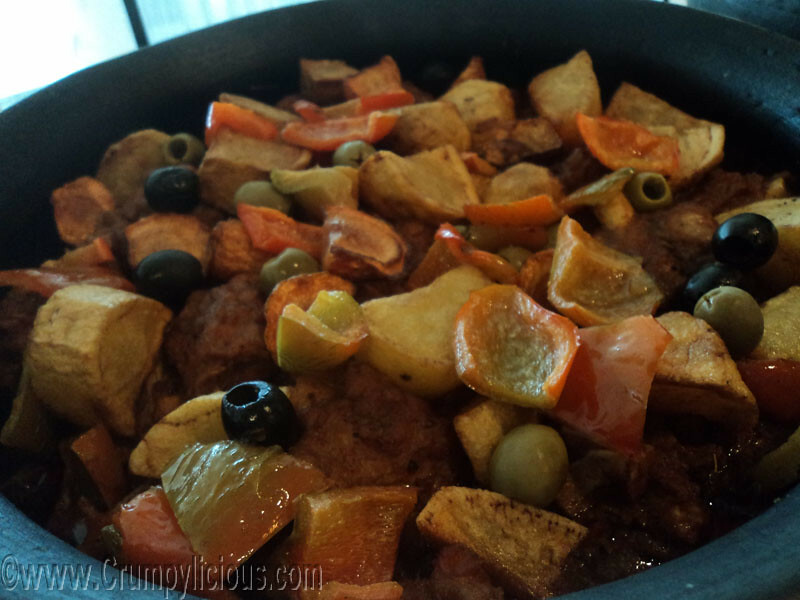 Cooking in clay pots does not use oil. Thus, making your food have lower fat content. Chef Paul Poblador, a graduate of California Culinary Academy is the head of Asian Flavours. The menu for this event wasn't just to showcase the traditional way of cooking, Chef Poblador also wanted to show the beauty of Batangas through the menu and its ingredients since all the ingredients are from Batangas. The price for the buffet is 299 per head. That is already quite a bargain especially since they're using organic vegetables. 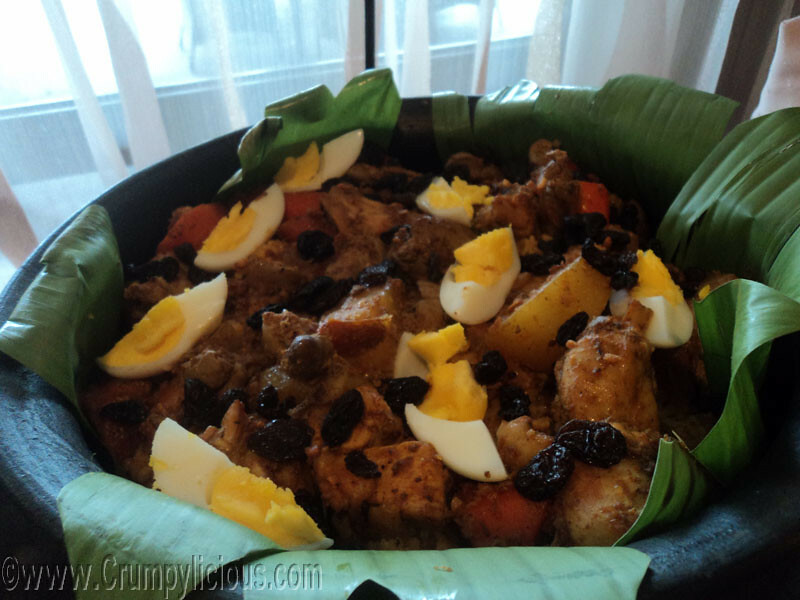 Asian Flavours palayok festival's menu features: Ensalada Filipina (made of eggplant, labanos, okra, tomatoes, onion and bagoong alamang), Nilagang Tadyang ng Bakang Batangas, Kare-kareng Buntot, Calderetang Laguna, Ginataang Manok sa Dilaw, Hinornong Isda and Arroz Valenciana. 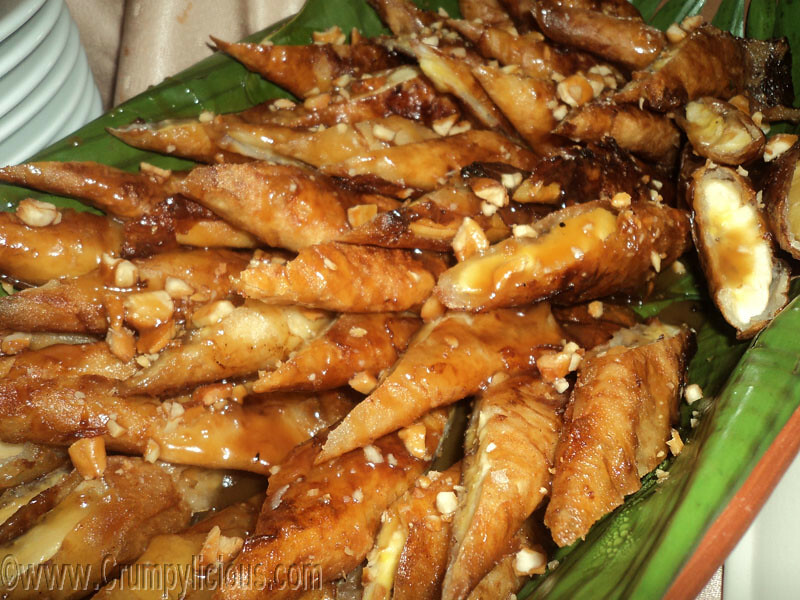 For those with a sweet tooth, there's also Turones de Lakatan and Minatamis na Saging sa Hielo. For an additional 50 php, you can also avail their Bottomless Sago't Gulaman. Chef Poblador also demonstrated how easy it is to make your own gourmet salad. 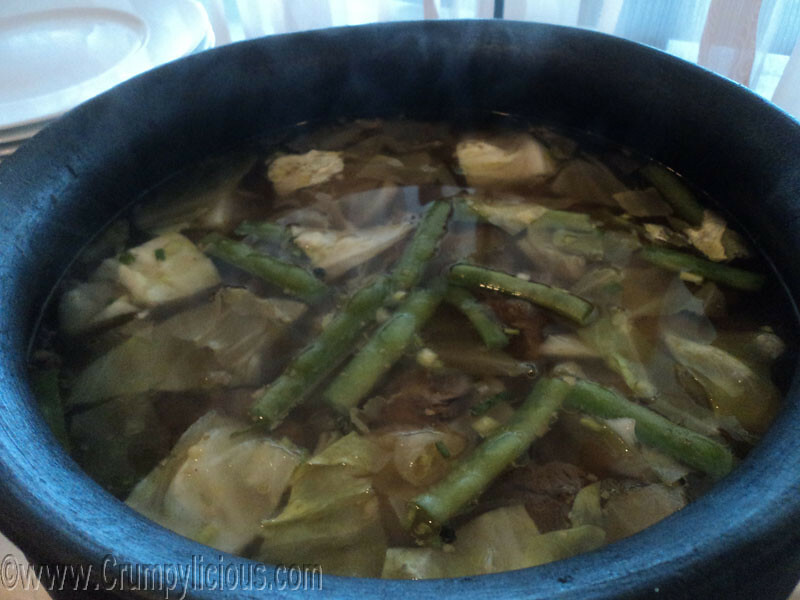 So, whenever you have the time try and visit Asian Flavours in Lima Park Batangas. After all, this happens only once a year. 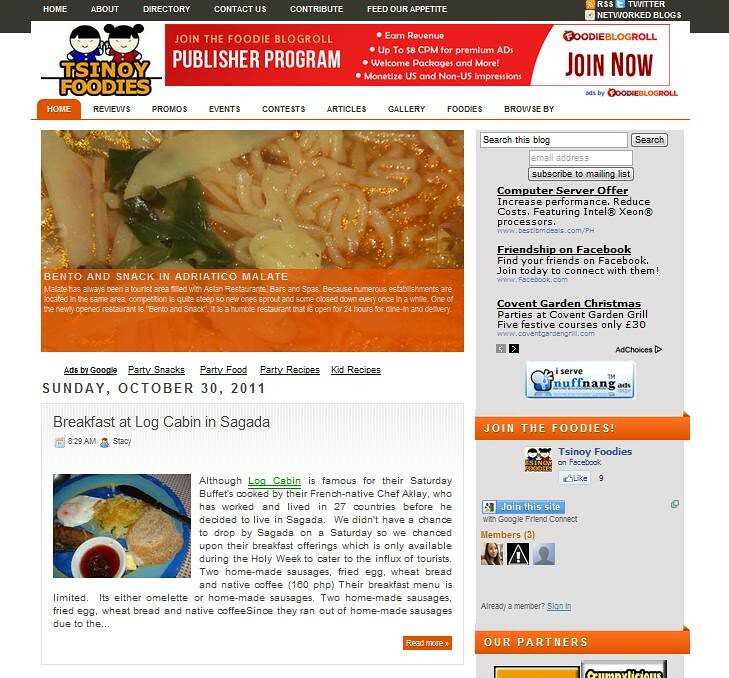 To make your travel to Batangas more worth while, in October 29, 2011 at 8 Pm, Lima Park Hotel will also be hosting a "Boys Night Out and Girls are In Event" presented by San Miguel Oktoberfest. Grab this chance to eat good food and get to see your favorite FHM Girls and COSMO Bachelors. Plus, General Luna, one of the hottest Filipino girl band, will be there to hype up your night. To those who are interested to join the Boys Night Out and Girls are In Event, I'm giving my extra ticket (worth 500 php) to the lucky commenter who will convince me why he deserves it! Please don't forget to leave your contact details. It all started with a simple pencil. In 1912, Tokuji Hayakawa first founded a metal shop in Tokyo. But, it wasn't until 1915 when he invented the Ever-Sharp Mechanical Pencil that marked the start of their innovative journey that continues for 99 years. On 2012, Sharp Corporation will celebrate 100 years of innovation worldwide. 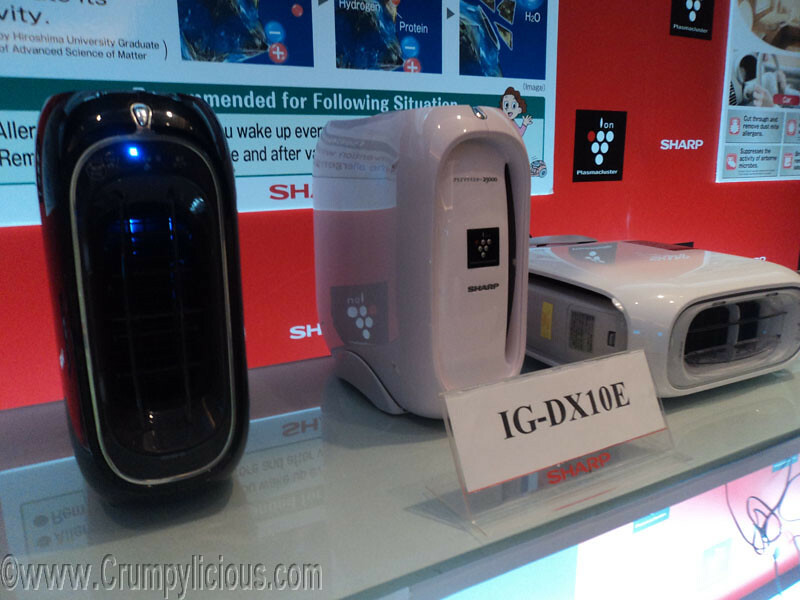 Sharp is creating not only products that will make our lives better but also creating a world our children or future children can look forward to. We know that most electronic devices damage our planet. 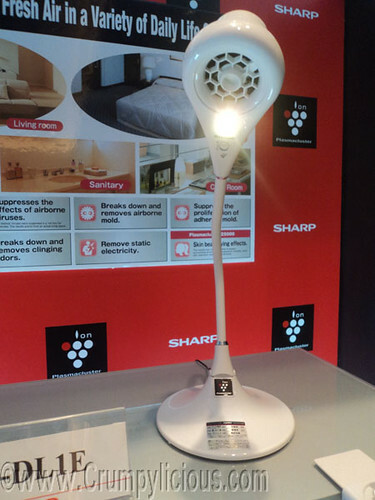 But with Sharp, you'll be assured a much cleaner and greener future because Sharp is an "Eco-Positive" Company. Sharp helped in creating an LCD manufacturing plant called the Green Front Sakai, the world's 1st 10 generation glass substrates. The plant brings the world two environmental friendly things: the energy-saving LCD panels and energy-creating solar panels. They also installed the roofs of factories with solar panels. 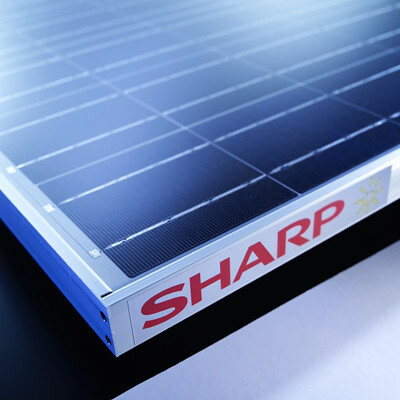 Sharp's poly-crystalline silicon solar panels are also used in our country's first solar farm in Cagayan. In our homes. 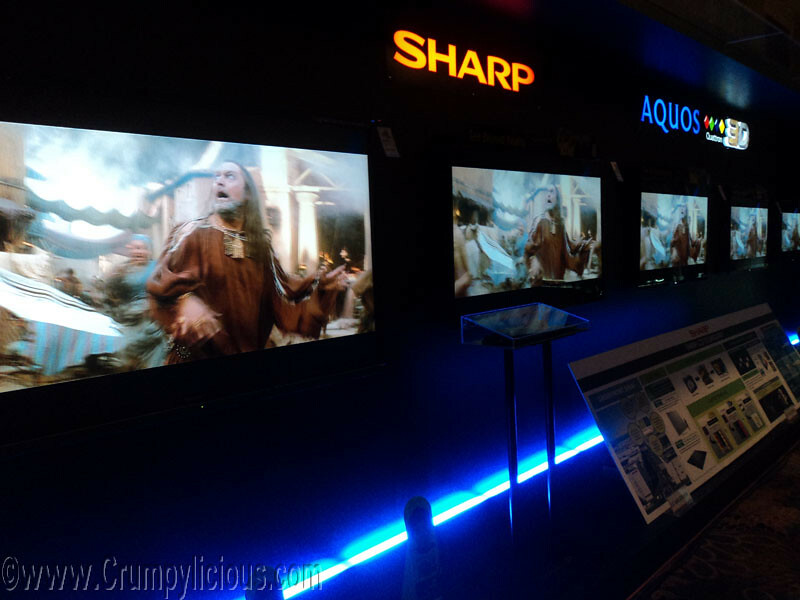 Sharp has did its environmental share by creating energy-efficient products such as the Sharp's Quattron LCD TV with its UV2A technology. It can handle the most advance picture quality you want to see and at the same time it is power efficient. Sharp Aquos is the largest LCD HDTV around plus it has the Quattron Four Color Pixel giving you the best possible picture quality you'd ever want. It's also made in Sharp's Eco Positive Manufacturing plants. Sharp's holeless washing tub prevents your clothes from getting stuck in the holes and saves water. Its stainless inner tub neutralizes bacteria due to its silver ions. Believe me this tub has more to offer so just check it out for yourself. 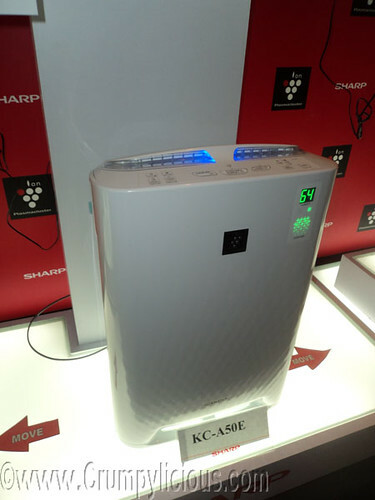 Sharp's air purifiers ejects positive and negative charged ions in your house, traps dust, dirts and other airborne particles making your house safer. It also removes household odors so you can freely enjoy the clean air around you. Though Sharp has only been in the Philippines for 30 years, they have surely made an impact in our lives. They have given their consumers quality assurance in every product. After the exhausting Blogger's Blaze Fun Cup Match (see previous entry), we headed over to California Berry SM Mezza Residences for dessert, where our friends Anton, John and Savannah were waiting for us. 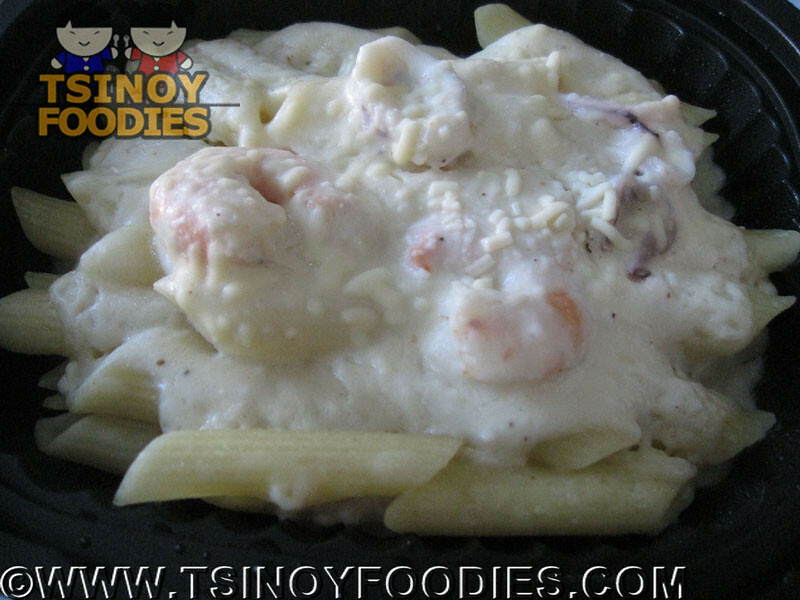 When we arrived, Savannah recommended us California Berry's Seafood Alfredo and Cheesy Lasagna. Although we were already full from the pizza served during the Fun Kart Match, we couldn't resist the enticing food. I had the Seafood Alfredo while Kurt had the Cheesy Lasagna. Personally, I'm not a fan of white sauces but I really loved the Seafood Alfredo. 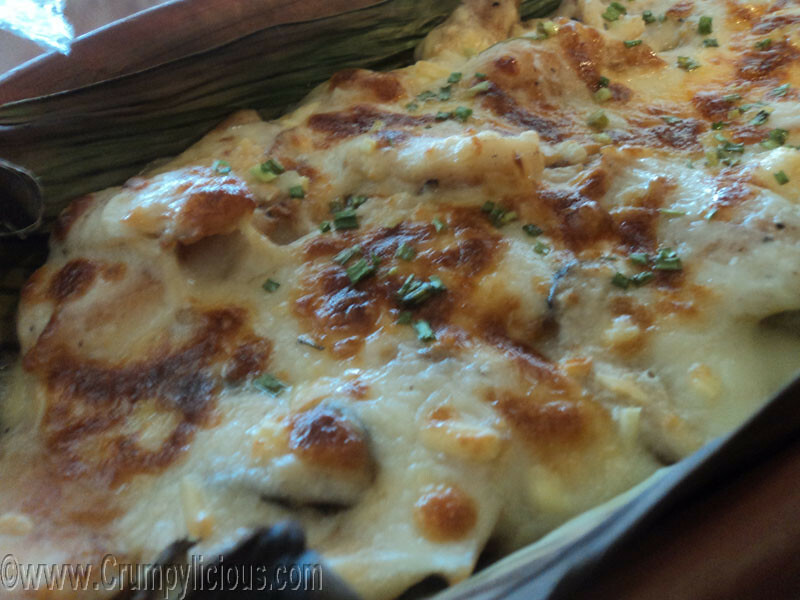 It was sumptuous as the pasta was enhanced by the rich seafood flavors. It also has chunks of shrimp and calamari. I recommend that you try it out for yourself! Kurt loved the texture of their cheese in the Cheesy Lasagna. He said it was light yet tasty. But, he said the overall taste is nothing special. 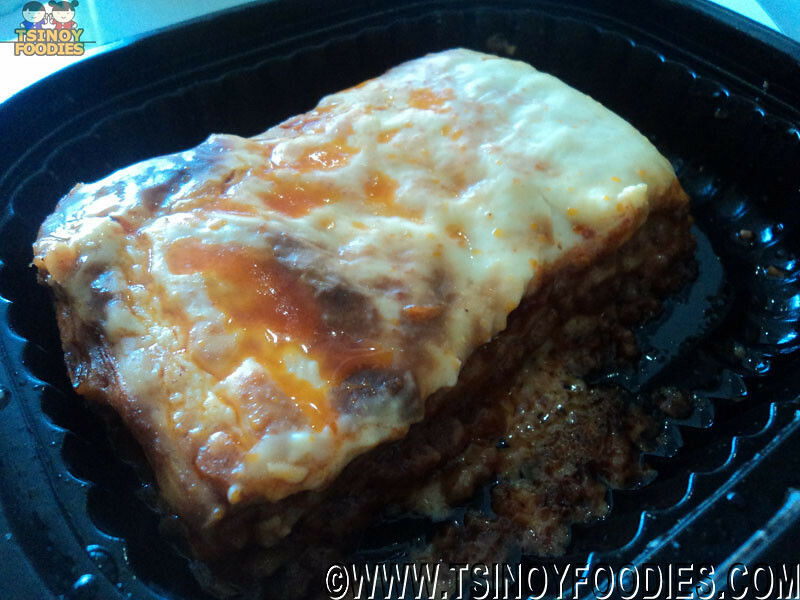 Upon first bite, I found the taste similar to Greenwich's lasagna which I usually order. It was pretty good for me. For drinks we had the Banana Rama and Mango Tango. The Banana Rama was delicious! It was made of kiwi, banana and mango. 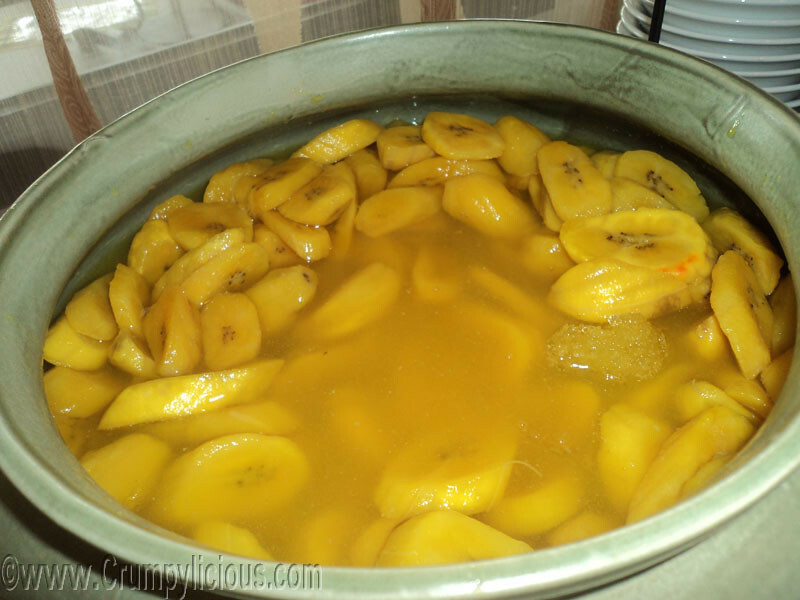 It tasted more of banana which I don't mind since I love bananas. 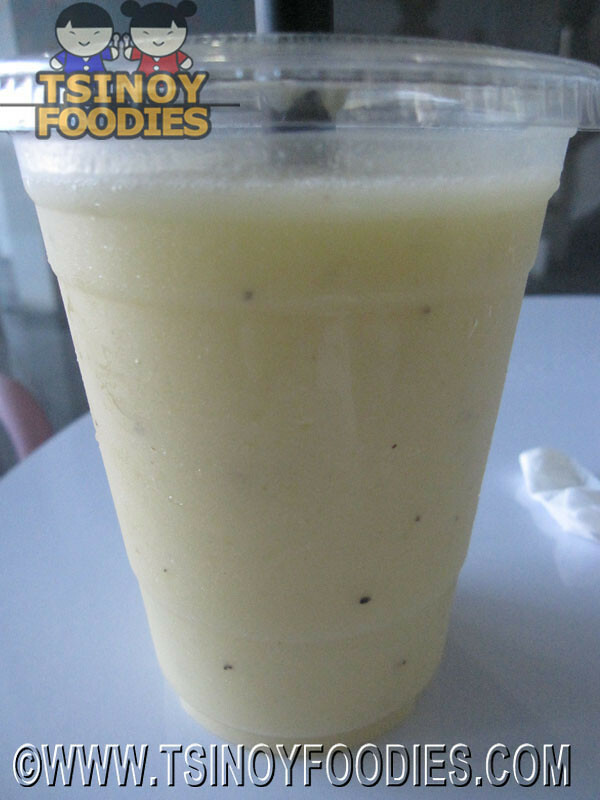 Because of the Kiwi, it has crunchy kiwi seeds which you can chew on while sipping. The mango made the drink a bit smoother. 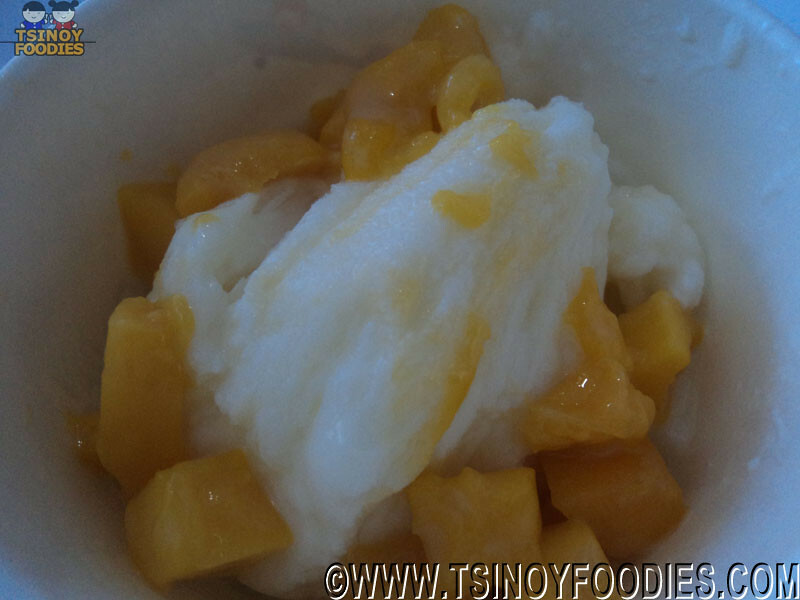 On the other hand, the Mango Tango is a mix of mango, banana and peach. Unfortunately, it was too bland for our taste. It tasted like mild mango and a bit of peach. The best of course is the dessert! We had the Original Ice Ice Baby. They also call the Ice Ice Baby as Japanese Ice Cream. It was actually lightly shaved ice. Mine was with blueberry and kiwi while Kurt had the one with Mango. At first, I was quite hesitant thinking that I could no longer finish this after the pasta but upon the first spoon, I couldn't resist the ice milky goodness! It was delicious. 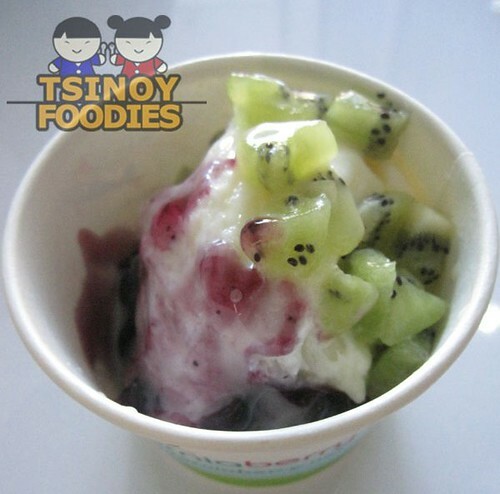 I loved both blueberry and kiwi so I enjoyed it until the last spoonful. Kurt also enjoyed his Original Ice Ice Baby with Mango. He always loved mangoes so it was the perfect order for him. 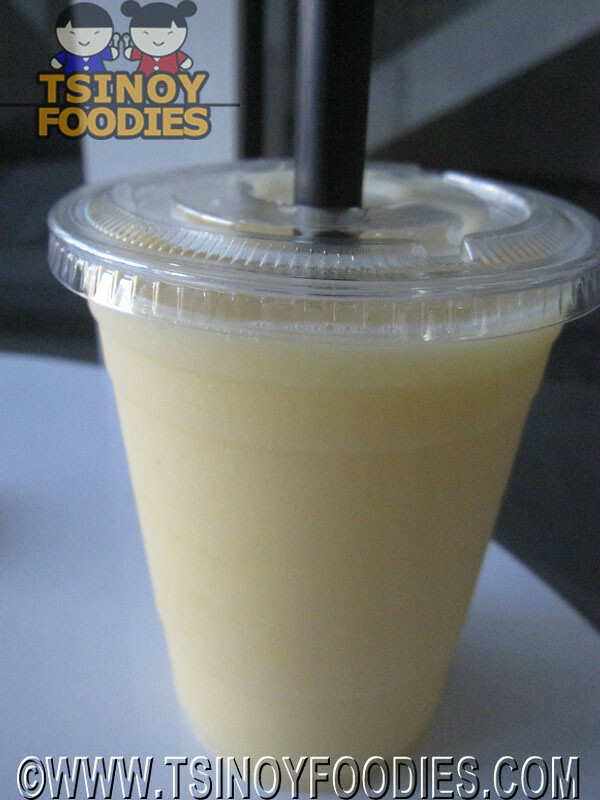 What's great about the Ice Ice Baby is that its so affordable at the price of 65 php. 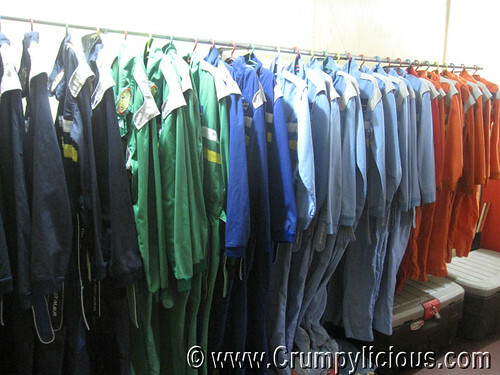 Plus, there are so many selections to choose from. You can choose different flavors plus a variety of topping as well. You can mix and match any way you want and I'm sure you'll never run out of options. 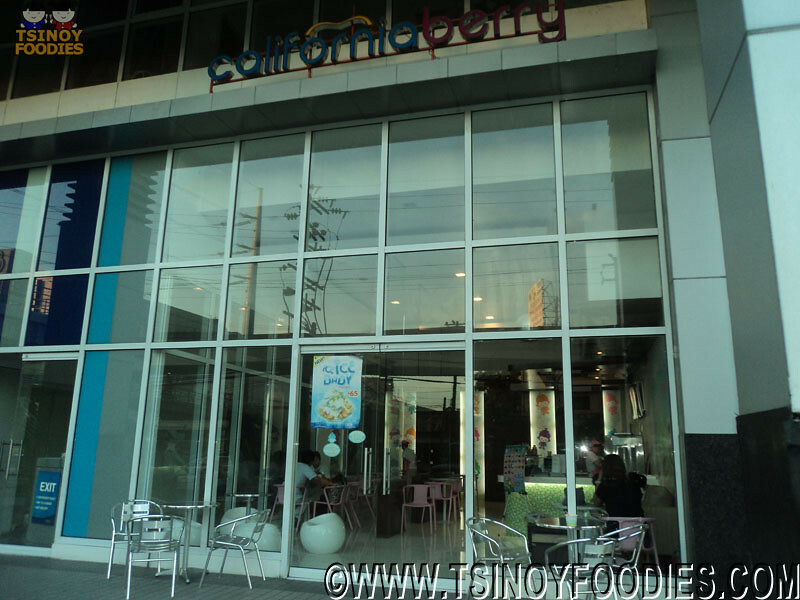 While eating we chatted with our friends in the cozy and modern minimialistic ambiance of California Berry. We were having a great time that we didn't realize it was almost night time. Before sunset, we left to head for our next stop. Guess where we'll be next? 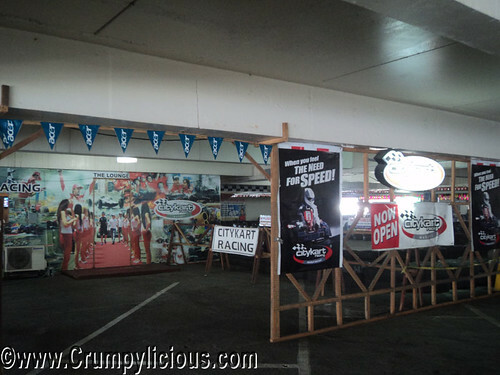 A bit hidden in the midst of the busy city of Makati is City Kart Racing located at the 7th floor of Makati Park Square 1. It is there the first ever Blogger's Blaze Fun Cup was held. 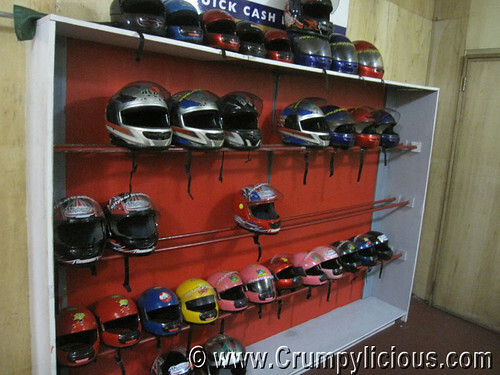 Upon arrival, all blogger karting contenders such as ourselves were required to register. We had to input our informatoin at their computer including our nicknames. We were then made to sign a waiver form wherein the rules were indicated. 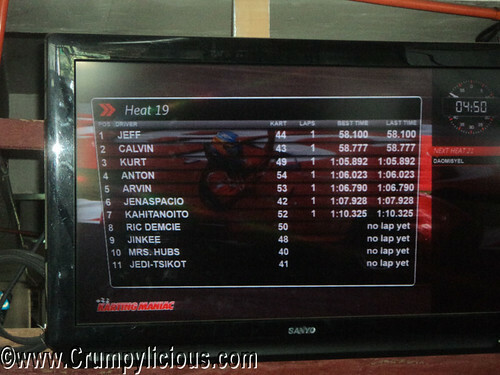 Our pictures where taken and it was shown at the large LCD Screens together with our assigned kart numbers. 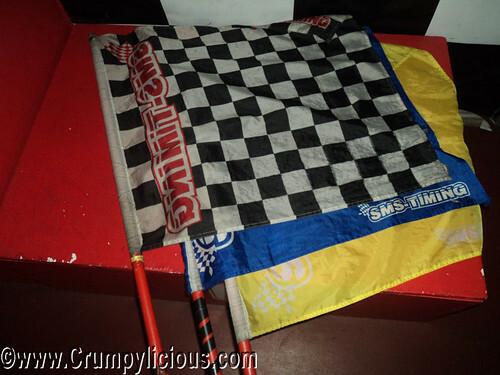 The owner Jean-Marc Jeff Freihuber taught us the meaning of the three flags and how to hold the steering wheel. As I stepped on the gas, I felt the adrenaline rush through my veins like I wanted to go as fast as I could and I did. I kept going faster and faster until I hit the tire barricades. Since then I became more cautious and started hitting the brakes. I was having a bit difficulty on the narrow curve parts. 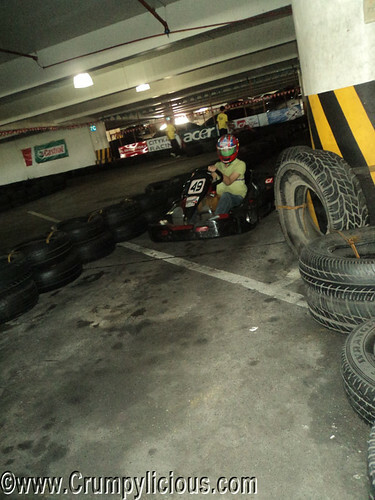 We were also told that we should give way when we're given a blue flag but sometimes its weird that the kart at my back didn't want to overtake even though I'm slowing down by the sidelines. I was disappointed with my performance. I felt the urge to improve. This wasn't my first time to kart so I knew what to do. But, the other kart racers were way faster than me. I'm glad I was able to beat Stacy's time though because she was challenging me and I've proven myself. The team was divided bloggers were divided into 3 kart players per team. Each had to go for a 10 minute round before swapping to the next team member. The team with the most laps in an hour wins. For the 1-hour endurance run, I was team up with Calvin and Zheyme. 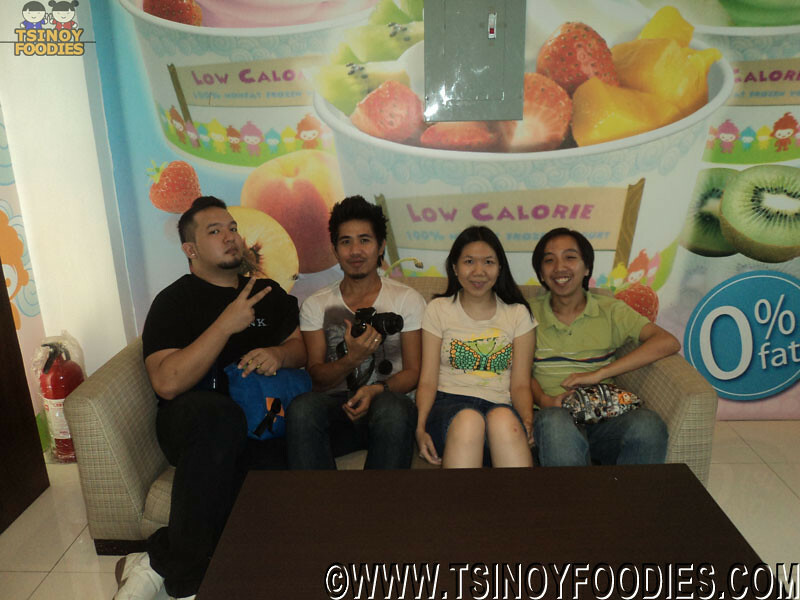 Zheyme was the first to go and she managed to grab the 6th spot out of the 8 teams. Calvin,being the only guy, was the more experience and competitive member of the team. He managed to improve our ranking to the 4th place. When I got on the kart, it moved really slow even though I was pushing the gas so hard. My kart stopped in the middle of the tracked that the marshall had to pump it up again for it to run. I had 3 bumps and I was made to stop to tie my long hair. (Note to self: next time I should tie my hair or I'll spoil the fun) By the time my turn was over, I looked at the LCD screen for our rank and was surprised that we were still at the 4th place. Zheyme didn't want to race anymore so she let Calvin take her round. After Calvin, it was again my turn. 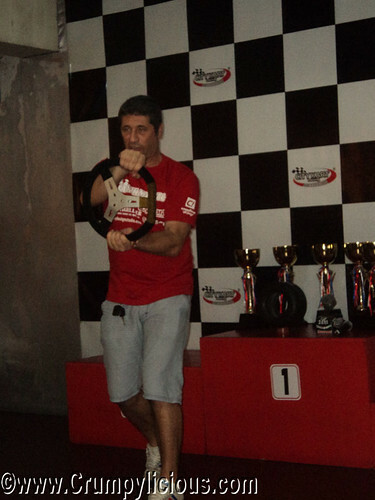 I managed to kart better this time but we were still at the 4th place. 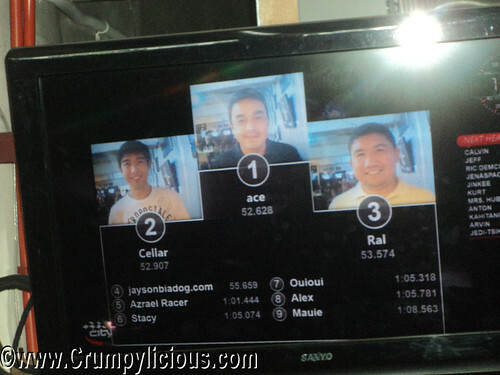 For the last round, Calvin gave it his all and managed to grab the 2nd place next to the notorious Tsikot.com team. But since we didn't let Zheyme have her turn we were penalized one lap which pulled our rank down to the 4th place. 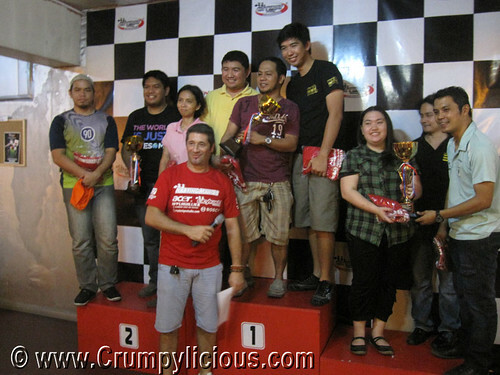 On the other hand our team was special, for the 1 hour endurance challenge our team had 4 racers. Me, Jennifer, Mauie and Daomisyel. Daomisyel who didn't even had a chance to practice went first and the thing was she did pretty good for her 1st try and to say the least she was actually better than some of those who already had practice. Mauie and Jennifer also did their part by picking up the pace and in the end we ended up in 5th place considering we started at the back of the race it's good say that we did quite well. We didn't think that City Karts can have cool racing apps. 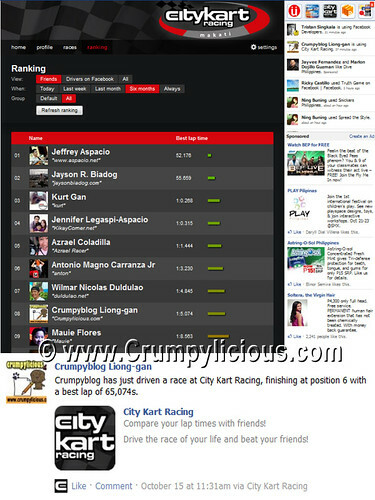 City Kart's racing has one of the best software for kart racing available around the world! You can check your race kart records via facebook. You can see your friends records too! it noticed that my race time is also displayed on my Facebook profile as soon as we finished racing. We only used the Fun Kart but it was really fast! 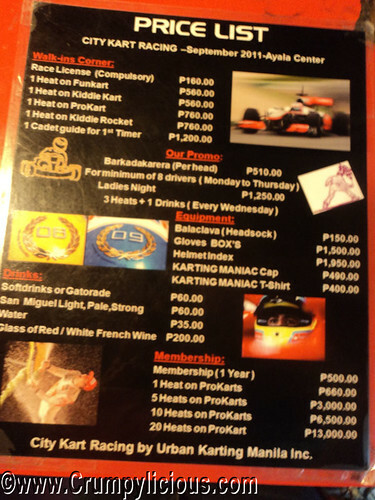 I can't imagine how it will go with Pro Karts. 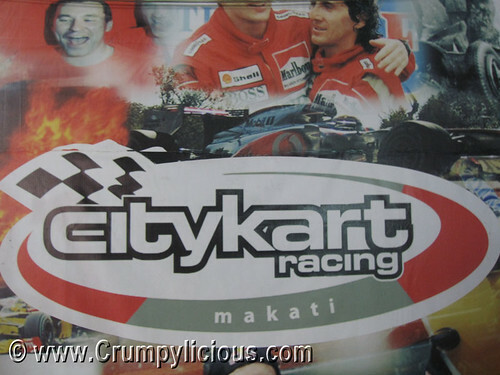 I'm amazed at the rate City Kart offers given that their Karts are top-notched, safe (even for kids) and well maintained. They are also complete with the gears like Baracca, Helmet and Race Suits. 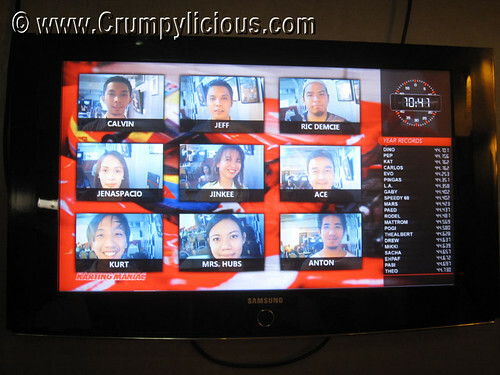 Their results are also real-time which you can view at their LCD screens located at various areas of the place. Overall, we had a lot of fun. 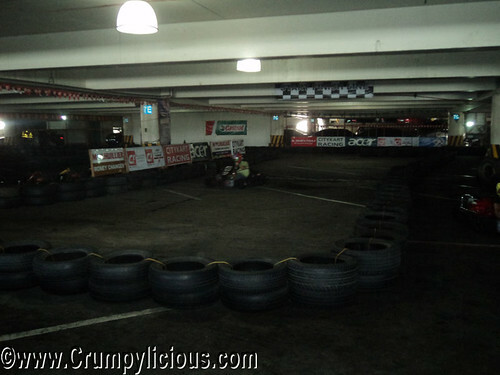 To be honest, karting has always been in our bucket list. Just for this we even cancelled our Corregidor trip. It was all worth it! We definitely want to go back and try this again. 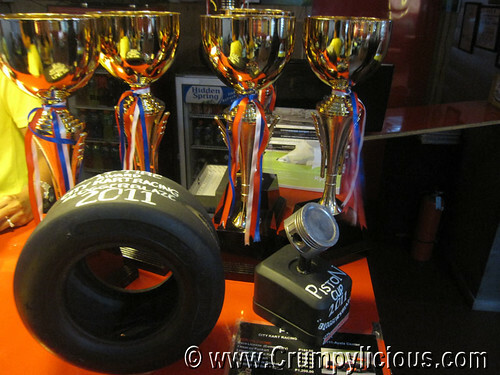 Hope the funny and nice owner Jean-Marc Jeff Freihuber hosts another Blogger's Blaze Fun Cup next year! Thank you for the pizza too!